EXCLUSIVE! West Ham ladies manager leaves the club. I have just received breaking news from our own ExWHUemployee that manager Marc Nurse has left the highly rated West Ham Ladies. This unexpected news comes just 6 days before the Ladies embark on their historic tour of Europe; where they will be facing the likes of Borussia Monchengladbach, as well as other huge European teams of the female footballing world! Ex has informed me that Ladies player and pro-coach Karen Ray will take over as gaffer until a permanent manager is signed and sealed. Karen is well known for her hard working attitude, as well as her intelligence, no doubt about it, she knows her way around a Football pitch! However, on top of this, Ex has also informed me that the Ladies hope to announce their new boss on Wednesday, if all goes to plan! It is vital for you to keep an eye on The West Ham Way website, as we will be the ones to exclusively reveal to you the new manager of the West Ham Ladies. Seems to be little sign of continuity for the ladies this last year or so. Lets hope this is the storm before the calm. Get Tom Camp back !!!! 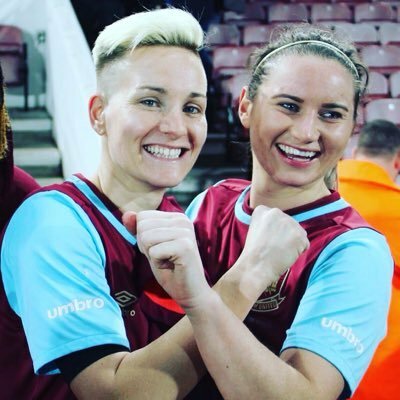 How come West Ham ladies have removed the article now – back track? GPS misses Karen! Come back!! !